We haven’t done a nighttime party since April. And as much as we like dancing in the daytime, it’s also nice to stay out until six in the morning sometimes. 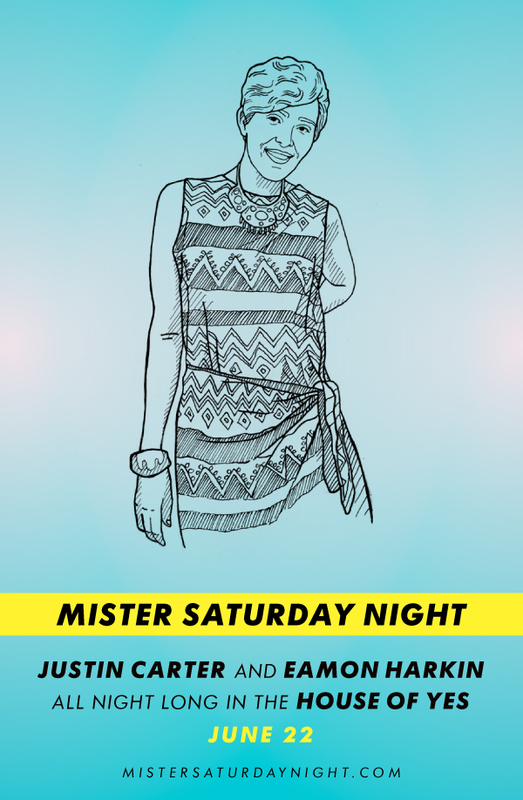 Tonight, we’re headed back to the House of Yes for a proper Mister Saturday Night. Justin and Eamon will DJ all night long, and Jeffrey Ralston, the gent who does all our lights and decorations, will be cozying it up extra special. In case you forgot, House of Yes is small, and it fills up every time. If you’re coming, it’s a good idea to buy a ticket here.